A refreshing toner designed to remove excess oil and impurities while restoring the skin's protective pH balance with Alpha-Hydroxy Acid (AHA), Antioxidants, and Botanical Extracts. Removes excess oil and impurities. 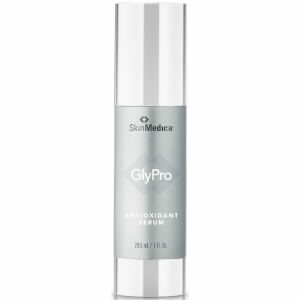 Helps reduce signs of enlarged pores. Apply twice daily. Moisten cotton ball and gently smooth over face after cleansing and before moisturizing. Water, Vaccinium Myrtillus (Bilberry) Extract, Saccharum Officinarum (Sugar Cane) Extract, lsoceteth-20, Camellia Oleifera (Green Tea) Extract, Acer Saccharinum (Sugar Maple) Extract, Hamamelis Virginiana (Witch Hazel) Extract, Chamomilla Recutita (Matricaria) Flower Extract, Citrus Aurantium Dulcis (Orange) Fruit Extract, Salix Alba (Willow) Bark Extract, Citrus Medica Limonum (Lemon) Fruit Extract, Panthenol, Sodium PCA, Sodium Hyaluronate, Retinyl Palmitate, Bisabolol, Cholecalciferol, Propylene Glycol, Butylene Glycol, Phenoxyethanol, Methylparaben, Ethylparaben, Propylparaben, Butylparaben, Isobutylparaben, Disodium EDTA, Blue I.Red 33. Non irritating, very good astringent. Makes my skin soft. Will not break me out. Not heavily fragranced. Restores skin PH after cleansing. I have use this product for many years, I have great results. It work for me and my skin love it. Just had a facial at my dermatologist's office and was advised by the aesthician to use the rejuvenative toner and the hydrating complex-(I already use the TNS Esentialserum(which I love)-The toner is fabulous-skin looks and feels great after applying and the hydrating complex is next to the holy grail in rejuvenation. Skin Medica really makes great products. Love-love-love them. I have used SkinMedica rejuvenative toner for 18 months and have seen a improvement of my skin when combined with the SkinMedica program.I leaves your face feeling very clean and tight. I use if in the a.m and p.m.
Love It! Doesn't dry my skin, or leave any residue. My skin feels clean.